SCOUT makes you a better pilot. Yes, the SCOUT truly makes a difference. Its a true handling machine and will let you explore your potential. Get more feedback, Have a more direct feel of the glider. Because half the fun is not enough! Never fight the torque again. Our unique torque compensation makes the SCOUT capable of turning equally to both sides. Sharp full-power turns are so easy now. No matter which direction> not only into but also against the torque. The SCOUT is a part of your body. 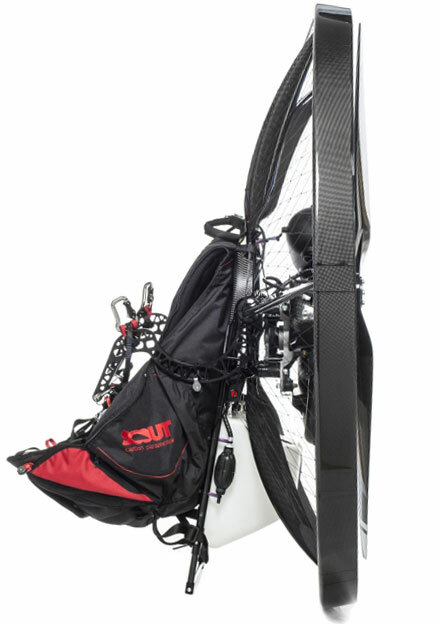 We made the paramotor flat. 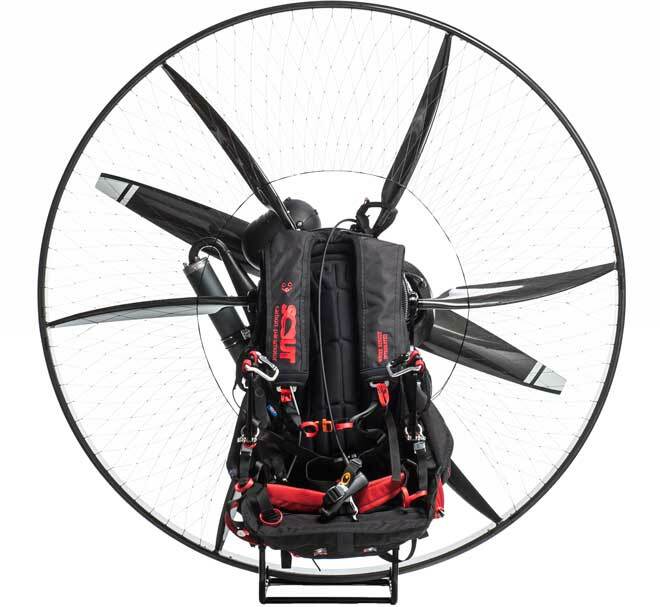 Weight of the engine and the spinning prop is closer to your body and it really makes you feel like the paramotor is a part of you. The gyroscopic effect is lower, and the whole paramotor just loves to follow the glider. You know the wonderful feeling when the glider turns and dives … oh what fun! Weight-shift just makes it more fun. This is how it is done in freeflying and is the most efficient way of turning and the most fun. It is sad that many paramotors today still do not offer any weightshift possibility. 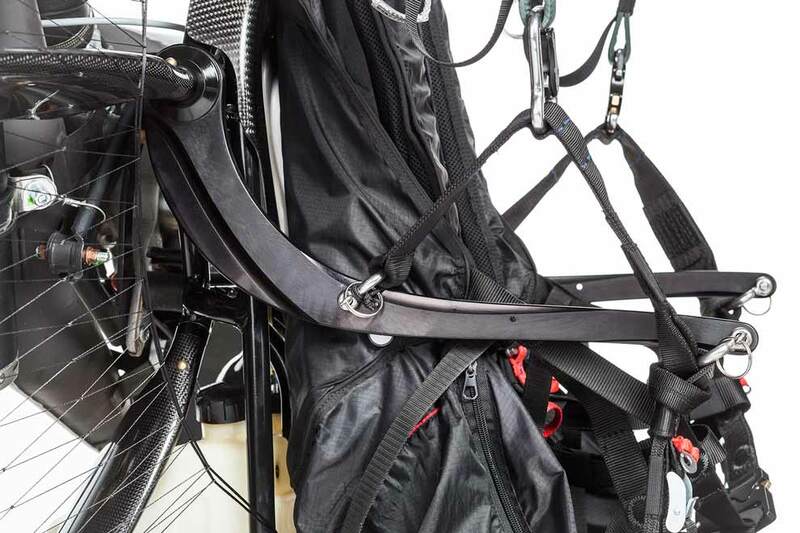 The hybrid bars offer even more weight-shift ability and glider feedback. They are great for freestyle, slalom, acro and thermalling. Yes, they feel a bit shaky in turbulence but it soooo much fun to fly with them. The strap can rotate to the side thus effective hook-in point is at the bar. Yes, that is very low. Handling feels as close to free-flying as possible. Enjoy and have FUN. Go for the Hybrid bars! The hybrid bars are the closest you will get to free flying with an engine! Let the SCOUT unveil your potential. To Arrange a test flight or to find a SCOUT dealer.